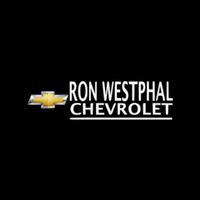 Ron Westphal Chevy offers a vast array of Certified Pre-Owned Chevy Vehicles. We have the reliable Chevy Silverado and comfortable Chevy Malibu among many others. The choices are limitless. We have certified pre-owned vehicles with low mileage and low pricing, simply search our online inventory by year, make and model and enjoy finding the certified pre-owned vehicle for your family. You can get a quick quote right away, we offer special pricing and competitive financing options to meet your needs. Come visit us today and pick your car out of our Certified Pre-Owned Inventory to enjoy your worry-free driving for years. **With approved credit. Terms may vary. Monthly payments are only estimates derived from the vehicle price with a 72 month term, 4.9% interest and 20% down payment.Price includes all rebates in lieu of special financing their may be other rebates that you qualify for.